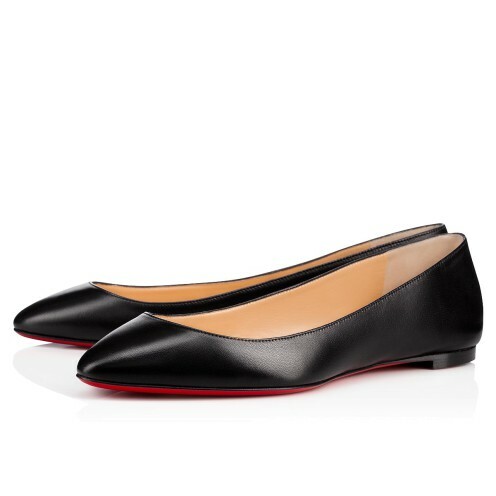 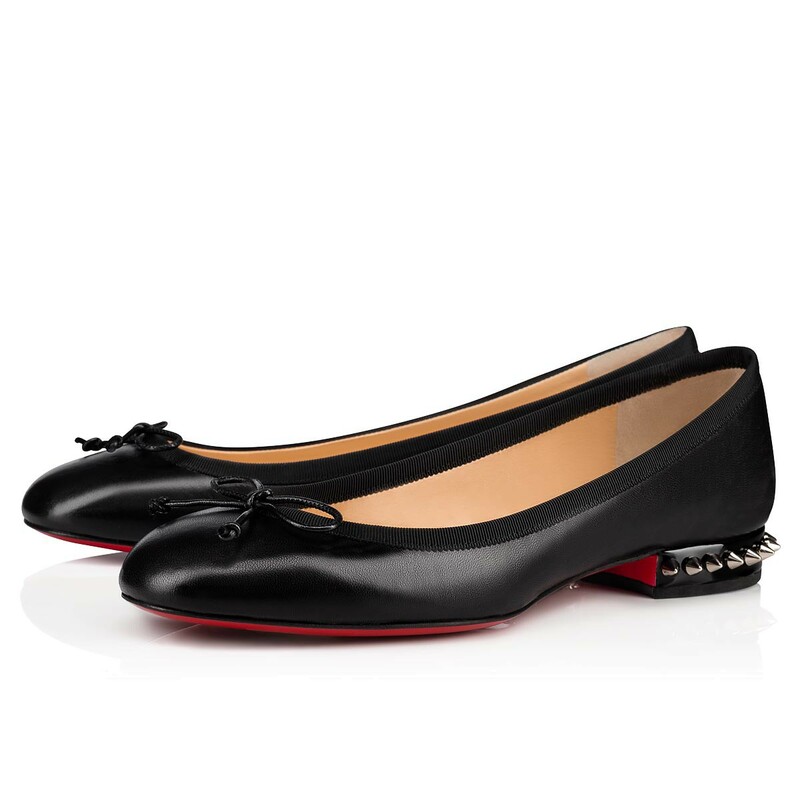 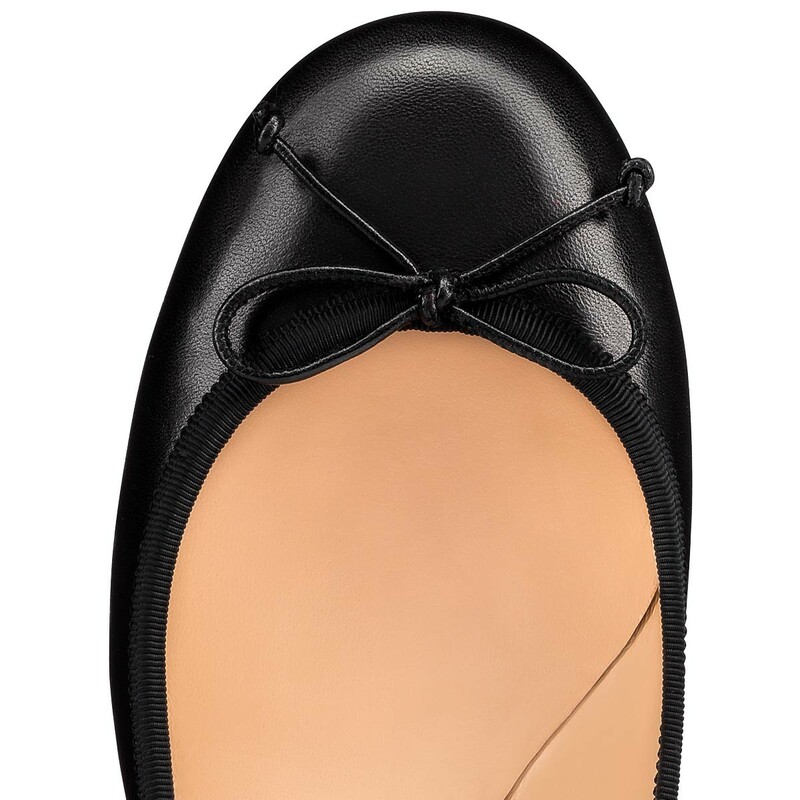 Both modern and timeless, the ballet flat La Massine offers the on-the-go elegance of a flat shoe. 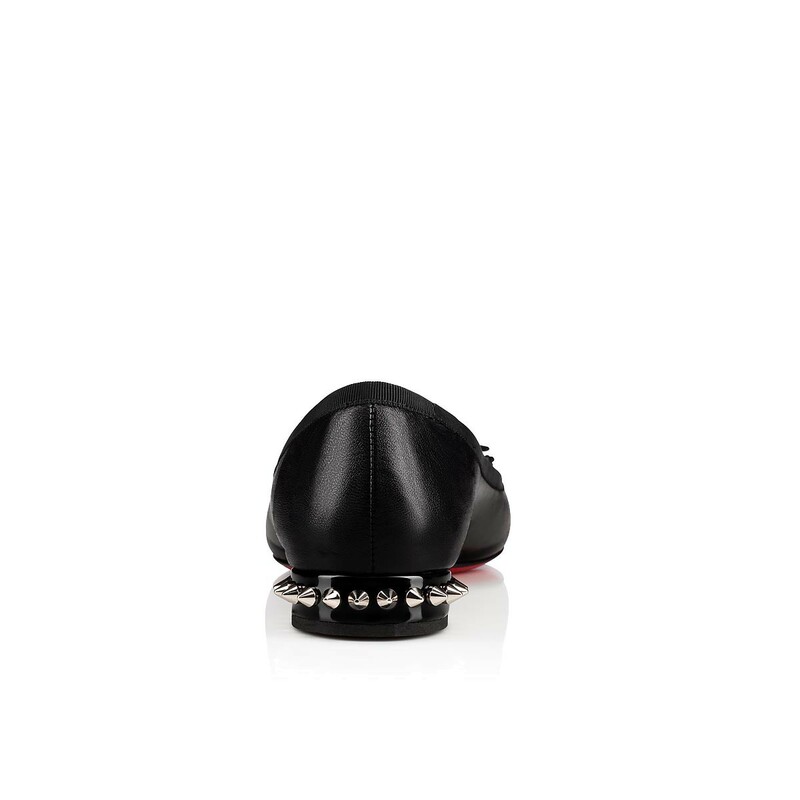 In shiny black nappa leather, it is hemmed with a black grosgrain piping finish and adorned with a leather tie on the vamp. 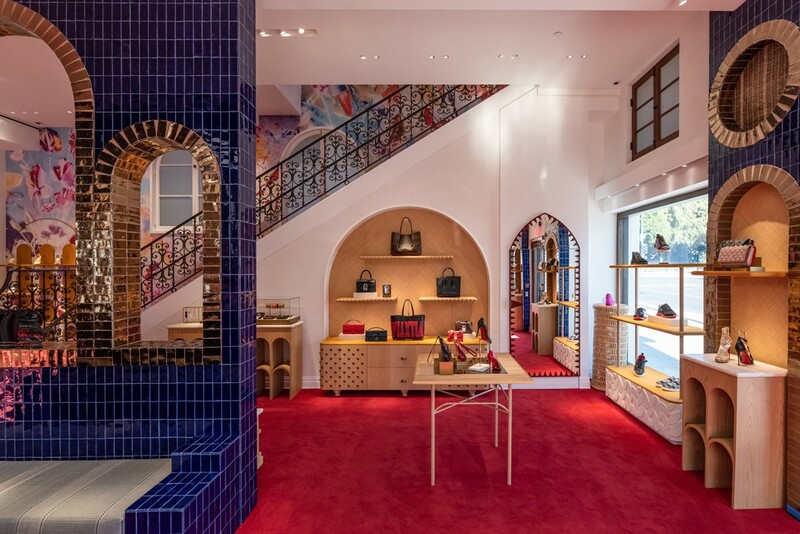 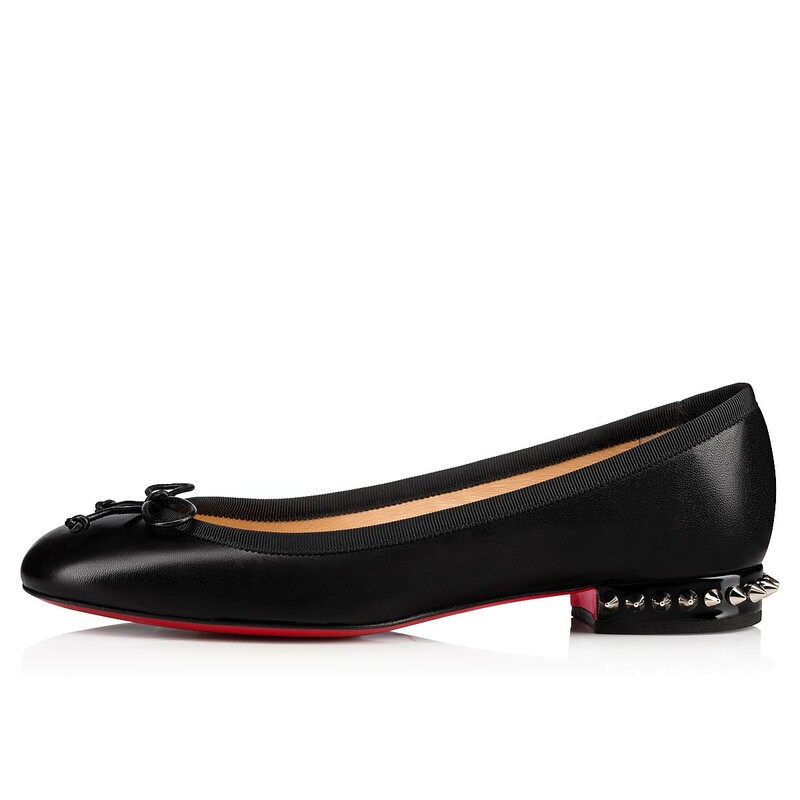 Its spiked gold heel reveal with each step the signature details of the Louboutin House.